The Accell features High Precision, High Speed forming and the available options to create complex parts. 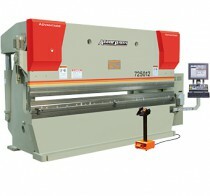 This Premier machine has been uniquely designed to consistently outperform expectations in the fastest and most accurate metal bending applications available. 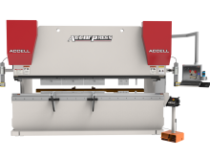 With strong features such as Material Variance Sensing, +/- 0.0004” Accuracy, generous open height and stroke length, and groundbreaking Vision Software, this is Accurpress at its finest. 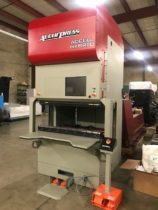 The Accurpress Advantage has stood the test of time with thousands of reliable machines shipped all over North America since the early 1970’s. 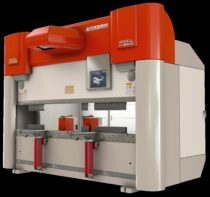 With a wide range of available sizes (25 tons – 3000 tons) and a host of machine and CNC gauging options, this machine can tackle numerous applications however big or small. The Advantage Features the unique and highly reliable “Rocker Arm” Design, Powered Ram Tilt, High Accuracy Hydraulics with Dual Ram Feedback and more!